What do we know about Cromwell’s wealth? Was he a rich man and what was his social standing? There are significant problems in attempting to reconstruct a picture of Cromwell’s income, the extent of his lands and properties and his precise financial standing. At certain times during his life, even his social position was unclear or ambiguous, open to different historical interpretations. Although we have a handful of entries in contemporary accounts which show how much Cromwell paid when assessed for the occasional taxes or subsidies voted by parliament, we possess nothing approaching a full breakdown of Cromwell’s income, nothing like the equivalent of a modern tax return. Similarly, although during the 1640s and early 1650s we have scattered references to Cromwell’s military salary and to cash, land or other goods being voted him by a grateful parliament, there survives no full listing of the lands, properties and incomes which he held at any stage of his life and career. No will is extant, and we do not have any inventories of his possessions, whether drawn up during his lifetime or at his death. Accordingly, historians scrabble around to assemble a financial picture from a scattering of incomplete and limited shreds of evidence, and many of the conclusions they reach have an air of educated guesswork about them. In 1599 Oliver Cromwell was born into one of the greatest and wealthiest families of Huntingdonshire. Although they held no hereditary title, they certainly ranked amongst the greater gentry and for two successive generations the eldest male member of the family was knighted. 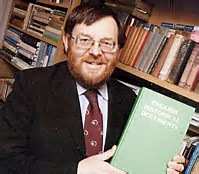 Several members of the family served as MPs and as JPs for Huntingdonshire. It has been suggested that in the early seventeenth century the head of the family had an income of over £2,000 per year, making the Cromwells one of the top ten families in Huntingdonshire and one of the top one hundred in East Anglia as a whole. Through marriage, they were related and allied to a long list of prominent landed families, both in East Anglia and further afield. On the other hand, by the 1620s there were unmistakeable signs that the family was in decline, for the head of the family, Sir Oliver Cromwell, appears to have spent too lavishly and exceeded his resources and in the late 1620s he was forced to sell off the family’s principal seat, Hinchingbrooke House just outside Huntingdon, and move to a more modest though still quite grand property at Ramsey. Moreover, Oliver Cromwell’s father, Robert, was a younger son, one of ten children of Sir Henry Cromwell to survive into adulthood (five sons and five daughters survived into adulthood, and only one of Sir Henry’s eleven children had died in infancy). Accordingly, while the lion’s share of the family’s property had passed to Sir Henry’s eldest son, Robert’s eldest brother Sir Oliver, the remaining spoils had been shared out amongst all the rest, setting up the younger sons with modest holdings and providing marriage portions to the daughters. Thus Robert’s own inheritance, a house on the main street running through Huntingdon and other lands and properties in and around the town, was modest. He was a gentleman, but only a minor member of that class, his lands and income probably ranking him in very much the lower echelons of the landed gentry. Robert died in 1617 and his property passed to his only surviving son, Oliver. Years later, Cromwell recalled that he had been ‘by birth a gentleman, living in neither any considerable height, nor yet in obscurity’. Until 1631, Cromwell continued to live in Huntingdon, supporting his widowed mother, several unmarried sisters and, in due course, his own wife and growing family. From what we know about his father’s holdings and about the value of his own estate when in 1631 he sold up almost all his land and property in and around Huntingdon for £1,800, it is likely that during the 1620s Cromwell’s holdings brought him an income of perhaps £100 in a poor to average year, perhaps rather more than that in a good year. This was just about enough for Cromwell to be considered a gentleman, a member of the gentry, but he was perilously close to the bottom of the ladder. He served as MP for Huntingdon just once, in the parliament of 1628-9, and although he held various town offices, he was not of sufficient standing to be appointed a JP for the county. Having lost out in a power-struggle in Huntingdon and perhaps also gone through some sort of personal, religious and possibly economic crisis, in 1631 Cromwell sold up in Huntingdon and moved to St Ives, renting land from Henry Lawrence and becoming a tenant farmer. We do not know how much land and property Cromwell was renting at this time, nor their precise location; we have no idea how much rent he paid, nor the size of his income in the early and mid 1630s. Nevertheless, the move from owning to renting land and property probably represents a decline in Cromwell’s financial and social standing, and may have seen him slip from the lower reaches of the gentry down to mere yeoman status. Early in 1636 Cromwell’s financial position and status revived when he became the principal beneficiary in the will of his maternal uncle, Sir Thomas Steward. He was left not freehold property but a series of long leases on extensive lands, properties and businesses in and around Ely. He and his family soon moved there. This inheritance, probably bringing with it an income of between £300 and £400 per year, restored Cromwell to the status and lifestyle of the gentry, albeit the lesser gentry. A surviving tax record from the early 1640s indicates that Cromwell was one of the twenty wealthiest residents of Ely township. Probably thanks to strings pulled by one or more of the powerful families to whom he was allied by marriage and kinship rather than to the revival in his own financial or social standing, in 1640 Cromwell was returned to both the Short and Long Parliaments as one of the MPs for Cambridge. He was probably one of the less wealthy of the 500 or so MPs with whom he now rubbed shoulders and as late as 1643 he was still noting that ‘my estate is little’. Yet in 1641-2 he was able to pledge and invest surprisingly large sums in the English expedition to reconquer Ireland – he subsequently estimated that he had invested over £1,200, though some sources suggest that the true figure exceeded £2,000. These are large sums and one wonders whether by the early 1640s Cromwell’s incomes and investments were significantly larger than most historians have suggested or, alternatively, whether at least some of this money had come not out of Cromwell’s own pocket but from other backers and investors via him. In the course of his successful military career of 1642-51, Cromwell’s financial standing strengthened dramatically and he clearly became very wealthy. This was due in part to his regular military salary – by 1644 his pay and allowances came to over £1,500 per year, in spring 1647 he claimed and received nearly £2,000 in arrears, though around the same time his standard army pay fell back to £3 per day, and in 1649 upon appointment as Lord Lieutenant of Ireland he was to be paid £10 a day while in England and £2000 per quarter while serving in Ireland. But over and above his regular military salary, during the 1640s and early 1650s parliament repeatedly showed its gratitude by granting him land – much of it confiscated from royalists and Catholics – plus a mixture of one-off cash gifts and annual payments. From 1645-6 onwards he was granted extensive lands and properties scattered around many parts of England and Wales, with particular concentrations in East Anglia, Hampshire, Gloucestershire and South Wales, together with various cash grants, including an annual payment of £4,000 voted to him after the battle of Worcester. Although it is hard to keep track of all the properties and incomes which he acquired, by the end of the 1640s his standard military salary and the revenues from his extensive estates together probably brought him an income well in excess of £10,000 per annum. He had become very rich and he was able to be generous – on several occasions he remitted or passed to others payments due to him, and he made generous marriage provision for several of his children. 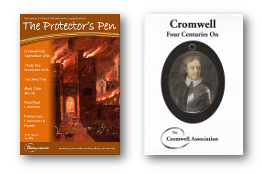 During the last years of his life, and especially as Lord Protector from December 1653 until his death, it becomes almost impossible accurately to measure Cromwell’s own financial position. In part this is because the surviving sources relating to his personal estates and incomes become extremely patchy. But in large part this is also a consequence of the blurring of his personal finances and his resources as head of state. As Lord Protector under a written constitution, he was given the use of various palaces and their contents and he was allocated an annual payment from state funds to maintain and run those palaces, to finance his court and household, and more generally to support the operation of civil government and the central judiciary – for example, the Instrument of Government of December 1653 allocated £200,000 per year for these purposes, to be spent by the Protector and his Council. Despite these uncertainties, it is safe to conclude that during his later life Cromwell was a very wealthy man and that his own personal properties and incomes, over and above those allocated to him as head of state, were vast. Down to the early 1640s, his income had probably never exceeded £400 per year and during large parts of the 1620s and the 1630s had probably fallen way below that level; thereafter, his finances underwent a revolution of their own and his financial position changed out of all recognition.